David Holder is founder and CEO of Raised Hunting TV, Raised At Full Draw, and Raised Outdoors. 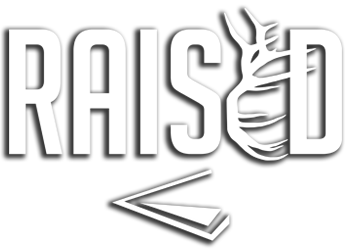 Raised Hunting is the parent company and tv series that currently airs on Discovery Channel. From 2014 to 2017, Raised Hunting aired on Outdoor Channel, the popular series earned Best Video Production for an outdoor series in 2014. Over the next three years, nine more award nominations were earned, including Best Deer and Best Cinematography. However, the best award, in David’s opinion is when he receives emails and calls from fans thanking him for keeping his Faith in God as his number one reason for any accomplishment. David, being an avid bowhunter and outdoorsman from the early age of ten, loves spending every moment hunting or thinking about hunting. While serving the city of Great Falls, MT as a firefighter captain, David started his public speaking career by conducting seminars across the nation teaching Elk, Whitetail and Turkey calling as well as hunting techniques. 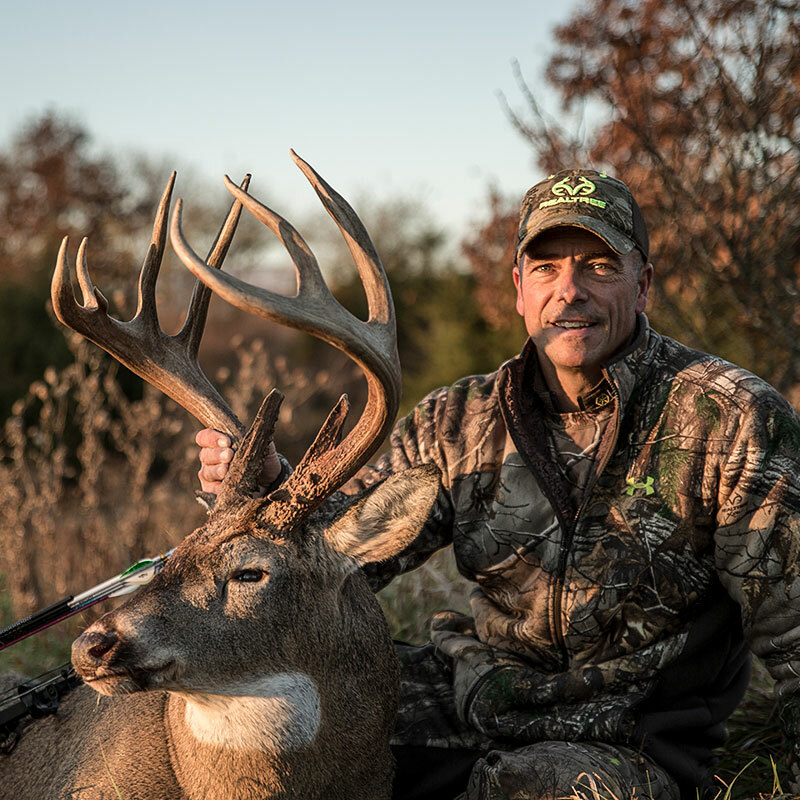 After accumulating hundreds of archery kills on video, David retired from Firefighting in 2009 and turned his focus full time to producing high quality, heartfelt stories that inspire, motivate and teach the viewer a hunting message, life message or both. David will tell you that although his passion is hunting, his true fulfillment comes from hunting and filming with his wife, Karin and their two sons, Warren and Easton. When Old Dan, the families’ English lab can come along, life could get no better. In addition to Raised Hunting, David is the founder of Raised At Full Draw, a 501c3 non-profit organization that is focused on creating hunters for life. Through educational archery camps in multiple states, David and his team have certified hundreds of youth, women, and adults in Bowhunter Education. Welcome to Raised Hunting, we are glad you are here and hope to someday share a story by a campfire in hunting camp. 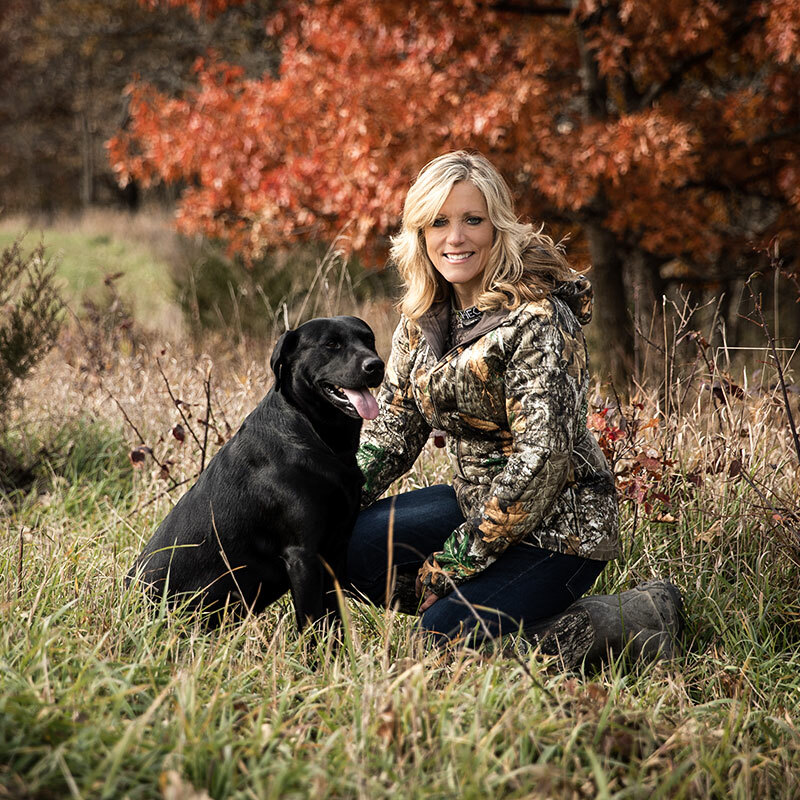 Karin Holder is co-owner of Raised Hunting, Raised At Full Draw, and Raised Outdoors. Karin is first a grateful follower of Jesus Christ, a devoted wife, mother, friend, hunter, and entrepreneur at heart. Karin’s business background as a Financial Advisor (2004) has helped serve the business well as they navigate the outdoor entertainment world, however what Karin loves the most, next to hunting with her husband, her two sons, Warren and Easton and her third son “Old Dan” ( the families English lab) is to inspire and encourage other women to get outdoors and experience the challenge and life lessons hunting provides. Karin has over two decades of archery hunting experience and over sixty (60) big game harvests. Karin believes that every hunt is a new experience, a new memory and an opportunity to serve her family the most organic meat available. Welcome to Raised Hunting, we are glad you are here. Warren Holder is Co-Owner of Raised Outdoors and co-host of Raised Hunting TV Series and Raised At Full Draw Archery Camps (a 501c3 non- profit organization). Warren understands that today’s hunter wants information now, at a moment’s notice, anywhere they are, even if that means sitting in a tree stand waiting on a huge Iowa whitetail or hiking a mountain looking for a screaming bull elk. Creating an app where hunting knowledge, entertainment, and savings are right at the tip of a finger has put a whole new level to the outdoor industry. Creating the app has provided another layer of knowledge as a business owner and entrepreneur. Warren, being raised in a hunting family, has been part of the family business all his life. Learning at an early age that hunting is much more than shooting a deer. It is a way of life, a way of learning, a way of building relationships and a way of challenging oneself on a personal level. Capturing it all on film and making stories out of these experiences was just another way of sharing the story. Warren is living a hunting lifestyle many can only dream of. Warren has harvested over fifty (50) big game animals with his bow as well as multiple Pope & Young and Boone & Crockett deer. Warren has taken that passion and focus in order to earn his Certification as an Official Scorer for the Boone & Crockett and Pope & Young organizations. Give him a call next time you have a trophy animal that you would like scored or better yet, send him a note and share your stories. We are glad you are here. Thank you for being an outdoorsman or outdoorswoman. Easton is the character in the Holder family. Always with a smile on his face and joking around, Easton has a way of making people like him right away. Easton never met a stranger and like his brother, Warren, will take on a challenge at any moment. 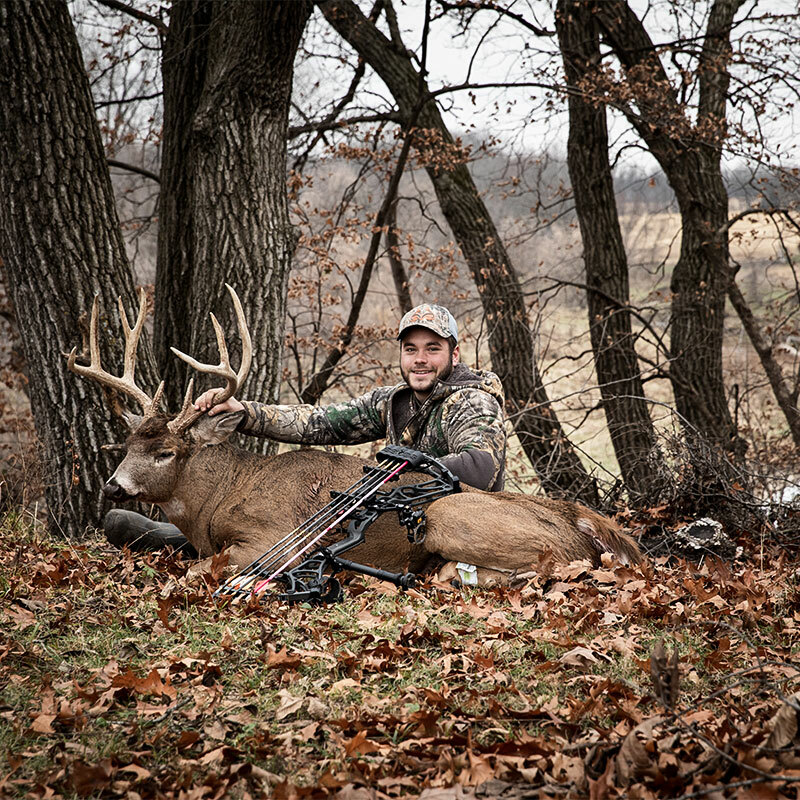 Easton is co-host of Raised Hunting and an instructor for Raised At Full Draw Archery camps. Easton loves being a bowhunting instructor and working with the youth, helping them feel comfortable and to get started on the right track or to move their hunting skills to the next level. Easton, being raised in the hunting culture has known bowhunting all his life. He has harvested over forty (40) big game animals with his bow, including bear and antelope. 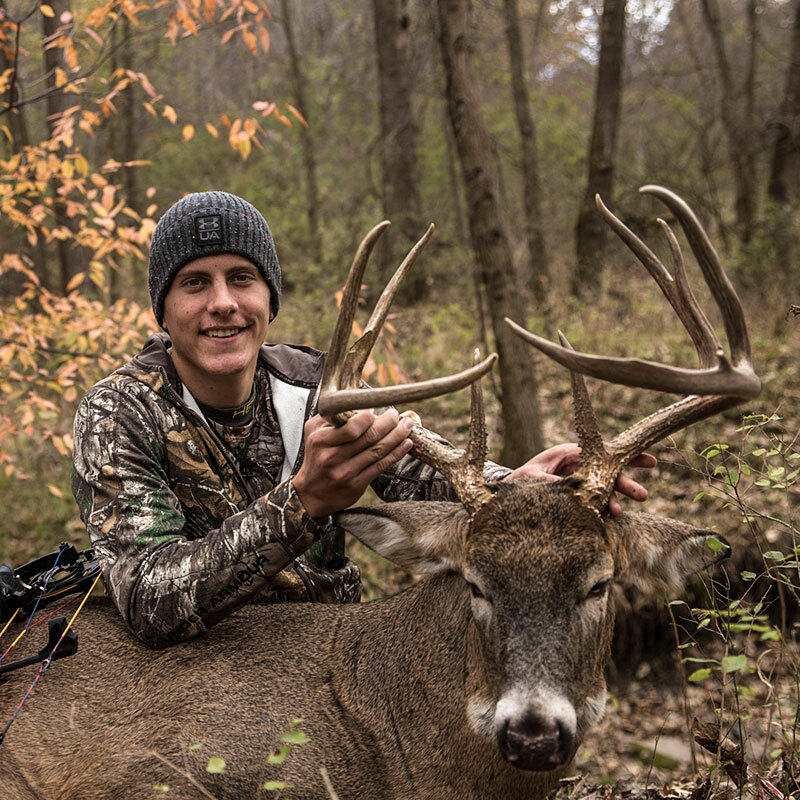 Although Easton loves hunting, college and work have kept him occupied this last fall. Stay tuned, there is more to come from this young man.